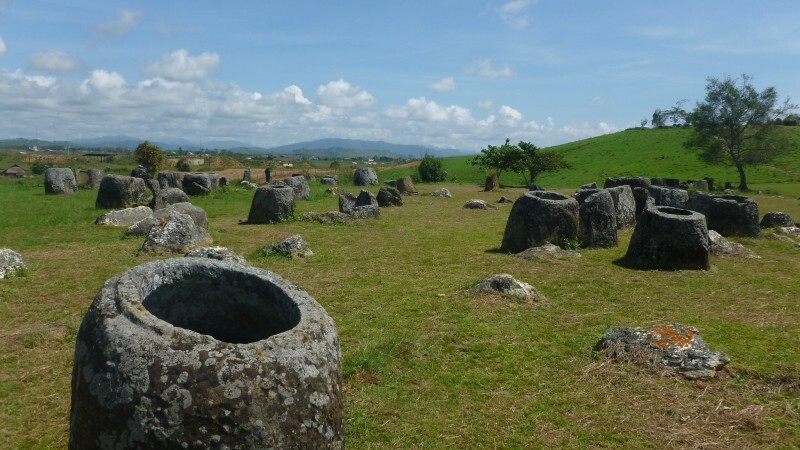 The mysterious plain of jars in Northeastern Laos is still one of the biggest uninvestigated archaeological sites in Southeast Asia—largely uninvestigated because of the huge amount of cluster bombs dropped there by US forces 40 years ago. From what little that has been investigated, it seems that the jars were places of transition in the funerary rite where bodies were left to decompose before going through a final burial. …conservation efforts are being largely hampered by other factors, such as rapid urbanization, farming activities, looting and neglect.